A must read for anyone interested in music production. In other words budding artists and producers. 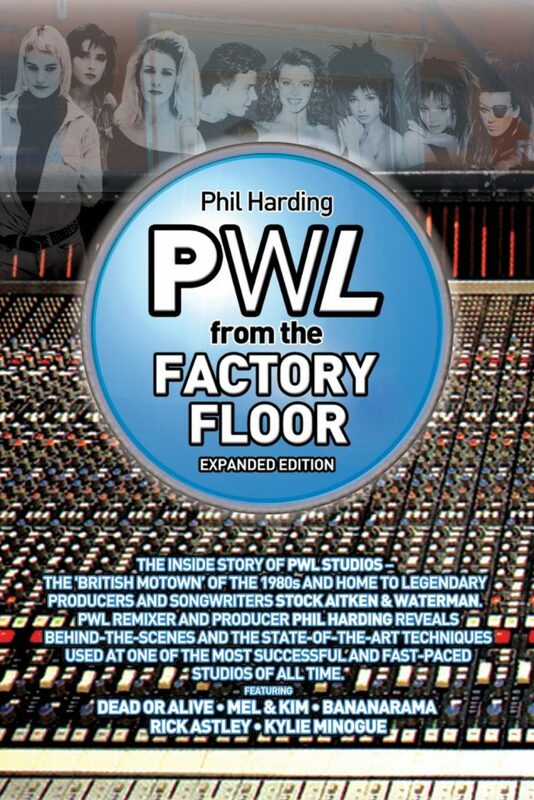 Stock Aitken and Waterman were the UK’s Motown and Phil Harding has written a very balanced book about the rise and fall of this fabulous production team and the PWL label. Get it now for Christmas. In this book you will learn about how the hits were made from an engineering and production angle and also some fascinating insight into some of the artists who SAW produced. Preview the book now. How to have a top 5 hit the Nerimon way. December 25th 2011 will go down in history as the day when the new model music industry finally arrived. The UK top ten features a young lad by the name of Alex Day, whose hit "Forever Yours" is arguably the most successful DIY music release in history. Forever Yours peaked at number 4 in the UK national pop charts beaten only by Millitary Wives (Decca), Little Mix (Syco) and Dominick The Donkey (Cinquenta Musica). To be honest it has been here for a few years but critics dismissed its earlier successes as "not being repeatable", "not a bona fide chart hit" etc. Ever since Koopa stormed the pop charts in a blaze of publicity, the unsigned artist has grown from strength to strength, unfettered from the stuffy suits of the music industry and its bland same sounding hits. But in Alex Day the DIYers have a genuine hit to shout about, a record that will make everyone finally sit up and take notice, a formula, a strategy, a method that ANYONE can employ. It does not require a huge amount of money to break it but it does require time, cleverness and great content especially great music. Artists all over the world rejoice! The DIY method is here to stay! Earlier in the year Rebecca Blacks' much maligned single Friday quietly notched over 100,000 sales and dented the lower regions of the charts. That record was a surprise hit in many respects but it did require the publicity machine to break it and whilst most people were laughing and trolling her, fans we quietly buyiing the single until it sold significantly and hit the lower bowels of the charts worldwise. In fact that was probably just about as much as an independently released single could achieve without the circus of traditional pop music promotion, without widespread radio play and without the backing of the majors. But how did Alex Day do this? How did a young 22 year old crack the charts without the backing of any label? How did he do this all by himself? and more importantly what can we all learn from his experience? Well the really short and simplistic answer is Youtube! Since 2006 Alex Day has been posting regular videos on Youtube and with a few mates notched up a staggering number of subscribers. His video channel has nearly half a million subscribers who watch his videos regularly. Add to the mix a catchy and infectious record and a funny albeit cheap looking video and most important of all a carefully constructed campaign around a day called the Forever Day (18th December) backed by loyal fans. His fans bought all the mixes of the singles which all add up to the overall sales and hey presto a top 5 hit. To say this idea was ingenious would be an understatement. Alex Day and the Nerimon Army have achieved what many labels could not achieve and make no mistake, the significance of this achievement shall reverberate throughout the record industry who must now hear the death knell sounding. Artists no longer need them to release their music, nor do they need them to market their music. By the way Alex didn't have to spend a penny, instead he spent a lot of time personally emailing all his fans and getting them to back the single. Buy Forever Yours from iTunes today.